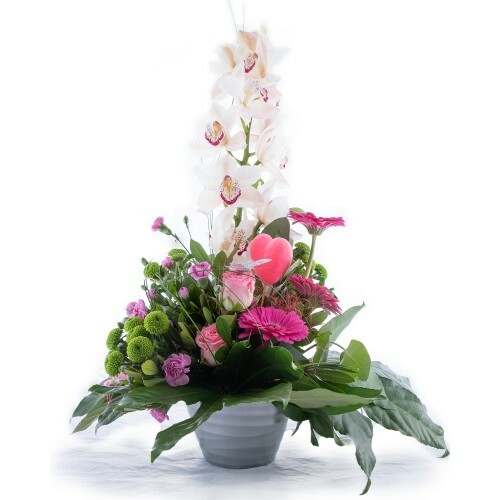 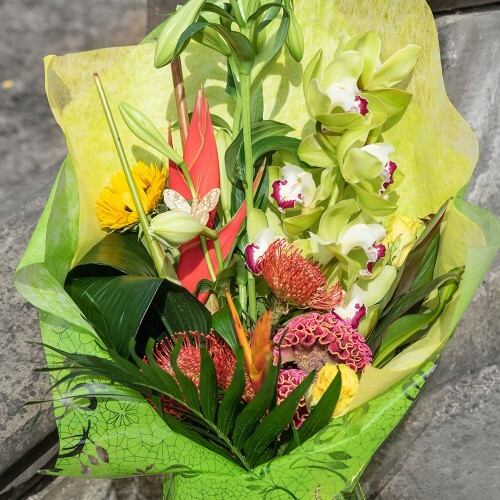 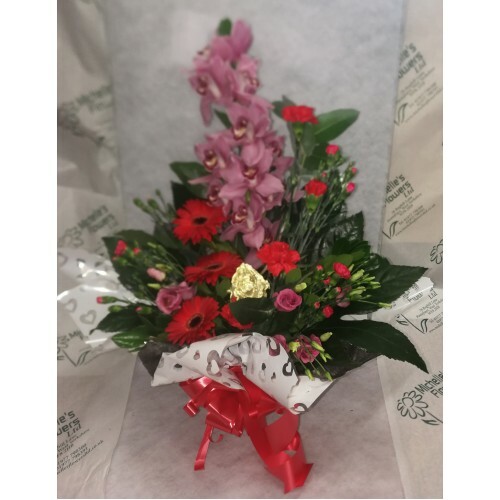 A contemporary, cheerful mix of tropical blooms set against folded lush foliage: this structured han..
Sure to wow mums that love something a little bit different, this stunning contemporary arrangement .. 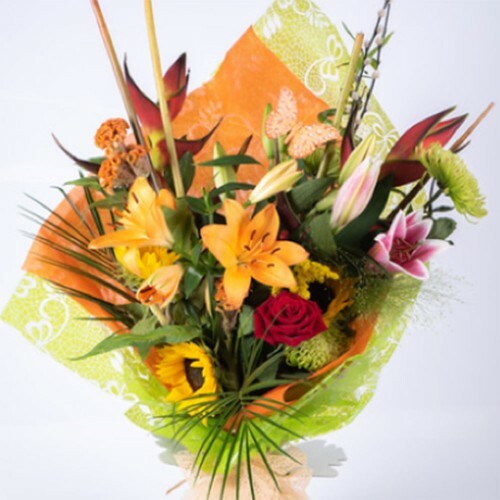 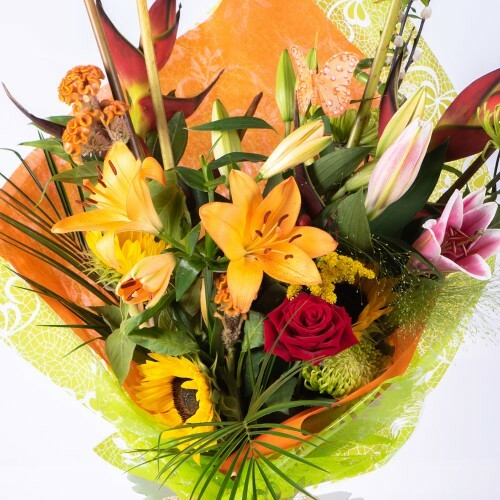 This bold arrangement of orchids, gerberas and more delicate stems of lisianthus and spray carnation..
A vivid array of lush lilies, birds of paradise and celosia, blended with striking sunflowers and ta..
A vivacious display of tropical birds of paradise, orchids, sunflowers and gladioli. 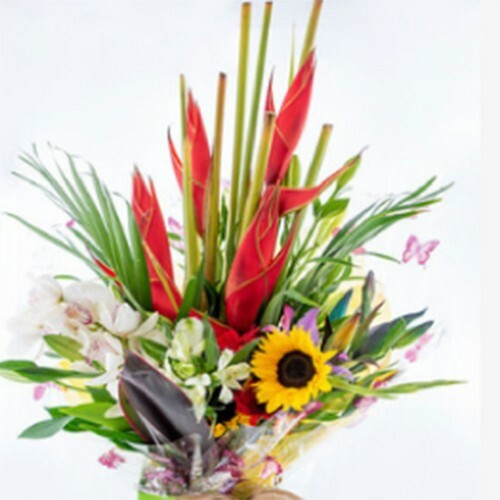 Bold, bright an..
A stylish, tiered arrangement of bold tropical blooms and foliage combined with traditional stems of..